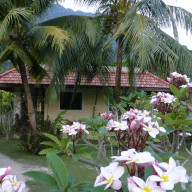 Friendly and reliable travelling couple with lots of experience caring for dogs and cats! Hello homeowners! 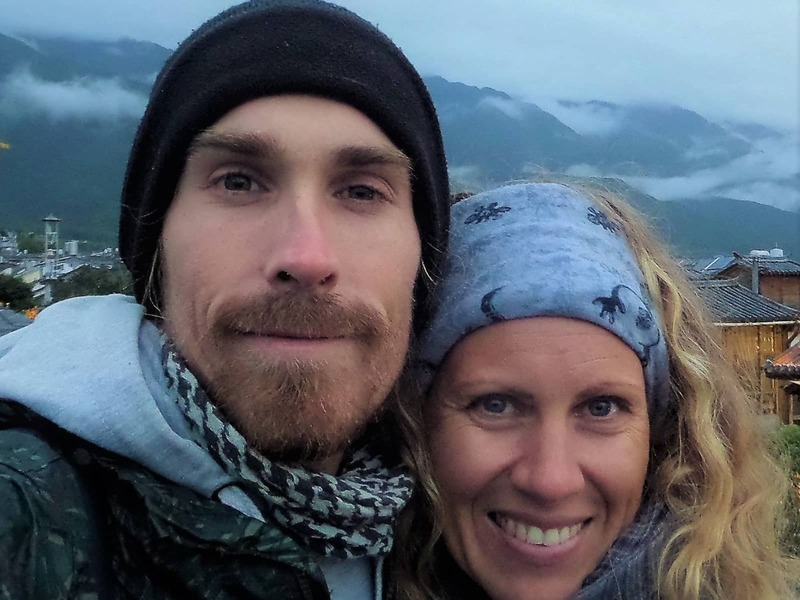 We are Alex and Malin, a couple that loves to travel and explore new places and really get to know the locations we visit by interacting with local people. We are clean, reliable and we always make sure we leave people's homes the way we found them or cleaner. We also have a huge passion for animals and lately we really have something missing in our lives... animal love! 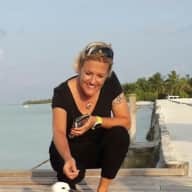 We both love animals and have volunteered with rescue dogs several times in Thailand and in Spain as well as fostering two abandoned dogs on seperate occassions in Spain. Alex has also had several cats and a dog during his lifeand we both wish we could have our own little cat/dog family but due to our travelling lifestyle this is unfortunately not possible at the moment. 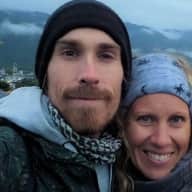 A little about us... Last year we wanted to try something completely different, we hitchhiked from Thailand to Spain and documented it all on Youtube. We wanted to do this as an experiment as well as to show people that the world is an amazing place full of kind and generous people. If you are interested to see how we got on please drop us a message and we can send a link to our channel on Youtube. As we have mentioned above we both love animals! We also love spending time in nature whether it is a beach, mountains, lakes or any other setting, we really enjoy wild camping and soaking up the amazing atmosphere that comes with being disconnected out in the wild. That said we also enjoy spending time in cities and exploring less touristy places and staying somewhere for an extended time really helps us to do that. We are new to trustedhousesitters but are really excited to get started on this amazing platform. We don't see it as a holiday as we will be working online from your house on our laptops so we will have loads of time to hang out/walk/belly-rub/feed and look after your companion which we are really excited about! We have volunteered in a rescue centre in Thailand with 30 dogs including puppies and we were responsible for looking after them from the evening until the morning. We really enjoyed spending time with the dogs and learning about how they work in big groups. As we were the ones looking after them for so many hours we grew really fond of them and had a tough time leaving. We have also fostered two dogs in the south of Spain whislt they were looking for permanent homes. We got attached to them very quickly and missed them when they were gone. We are both tidy and responsible people and we always take care when we are in other people's homes. We understand that people want to return to their house as they left it without any problems. During out travels we often stay in other people's homes as we use a website called couchsurfing. We always get along with our hosts and make sure that we are not in the way and that we are respectful of their house. I was delighted to meet Alex and Malin, who were my first sitters using this site. It was great to having the opportunity to meet them prior to the sit dates which gave me the level of comfort I needed for this length of stay. They communicated regularly and I was treated to photos and videos of Maia which was just great. They spent a considerable amount of time with her, played various games which resulted in a trim, happy and healthy cat on my return! They are trustworthy, quiet, got along with my neighbours and left the house clean and tidy. I would not hesitate to have them stay again in the future and highly recommend Alex and Malin for anyone considering them for their own home. Alex & Malin stayed in my house for 2 months and looked after my 3 cats. We communicated via WhatsApp and they sent lots of lovely photos and funny videos from my very happy looking kitties. :) Alex & Malin are very friendly and reliable, my landlord and neigbours confirmed this. When unexpected things happend during their stay (cat sick & others...) they knew exactly what to do. They left my house cleaner than it was before! It was a pleasure to return home and to find the cats, house and plants in such great conditons. I can highly recommend Alex & Malin, they are really good! I hope they'll return to my house again in the future. I have met Alex and Malin during their travels through Turkey. Turkey being a country with a lot of stray animals I got to see them interact with a stray dog that followed them to our house. They were incredibly caring and showed that they see animals as fellow creatures that deserve to be loved, respected and protected. Seeing how the dog attached himself to them I would entrust my animals to them without a second thought. Hearing about their work with stray dogs in Thailand I am also sure that they have the necessary experience to make competent and loving care takers for dogs and other animals. I would highly recommend this couple as sitters for your fury friends. Alex (and Malin) worked for me for almost 3 months late in 2016. They were hard workers, very conscientious and caring about our objectives. They worked on several projects and were also very much involved in our dog/puppy rescue work. They were invaluable with the dogs and pups, they are clearly big animal lovers with a good sense of what animals need and how to be with them. We trusted them completely and would recommend them to anybody. We were sad to see them move on. Alex is a great guy, both he and Malin are intelligent and honest. We wish them good luck in their ventures!